I love Baker Days, For anyone who hasn't heard of them, they sell cakes! 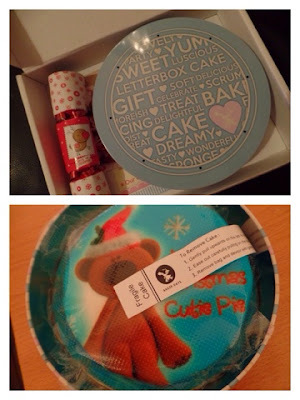 As part of their range, you can buy letterbox cakes which do fit through your letterbox! With Christmas coming up, I decided to try one of their little Christmas cakes for C. I opted for the Christmas Teddy design. The cake arrived a few days later in a little box. 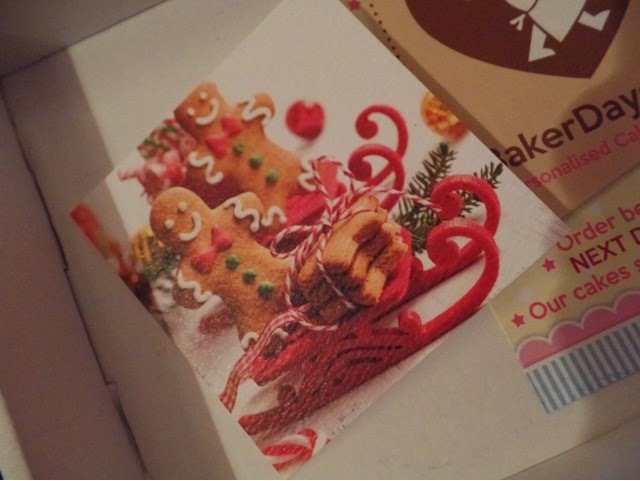 It was encased in a small cake tin with an added Christmas cracker - how cute - and an adorable little Christmas card too. The cake itself is 5 inches in size and does 3-4 servings. It comes in a hygiene bag with instructions on how to lift it out carefully. We received a standard sponge cake which was impossibly fluffy. The gorgeous creamy icing complemented it beautifully. 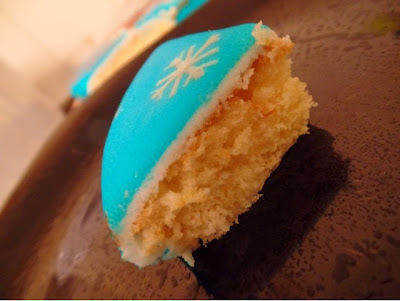 The little image on the icing was perfect too. C kept repeating, "teddy!" The cake was surprisingly fully intact considering that it had been posted. Everyone enjoyed this cake and it would make a great Christmas gift to send directly to a friend or loved one. Baker Days cakes are also available in small, medium and large (but these ones obviously will not be posted through your letterbox!) and you can choose from a sponge, chocolate chip, fruit cake, gluten free or dairy free filling. 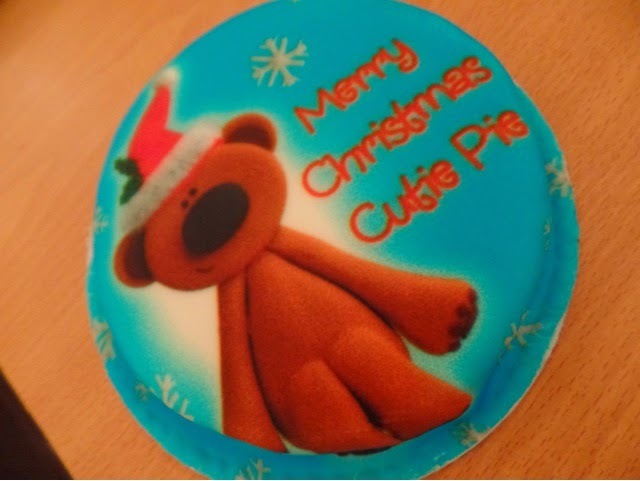 They have a wide range of other occasion themed cakes like Birthday Cakes as well as Christmas ones! They even sell cupcakes too! For the chance to win your own Baker Days letterbox cake worth £14.99 all you have to do is fill in the Rafflecopter widget below.